Shot on Fuji NPH400 pulled to 200 ASA. Expiration Date: August 2005. Shoot Date: March 15, 2019. Camera: Mamiya RB67. 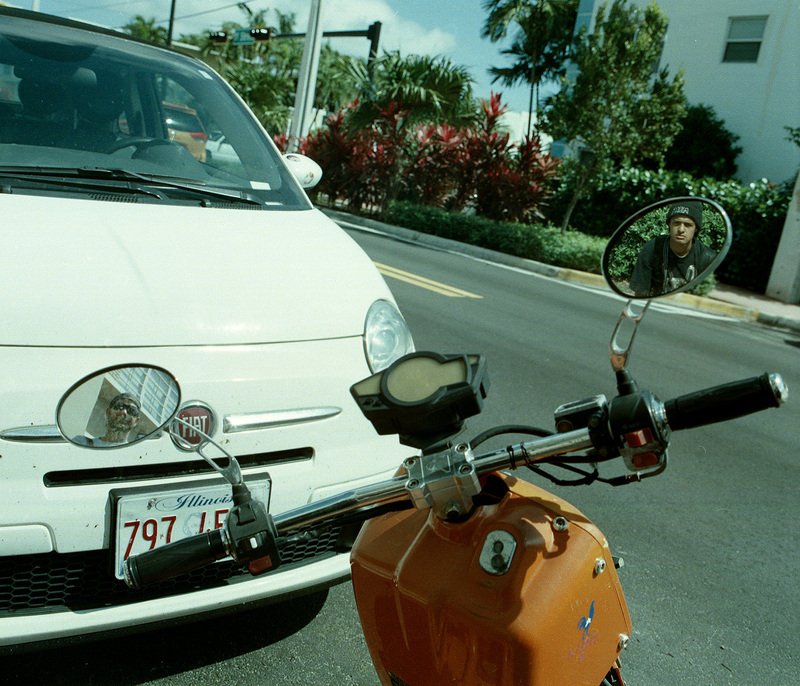 Processed with Tetenal Colortec C-41 in Miami Dade College’s darkroom. My homies and I were making our way back home after a photo walk through Miami Beach. As we were walking, I happened to notice a motorcycle parked on the curb and as I passed it I saw my own reflection. It sprung an idea for a photo so I proceeded to spend about 15 minutes trying to properly frame my friends onto the mirrors of the vehicle for an interesting dual portrait.